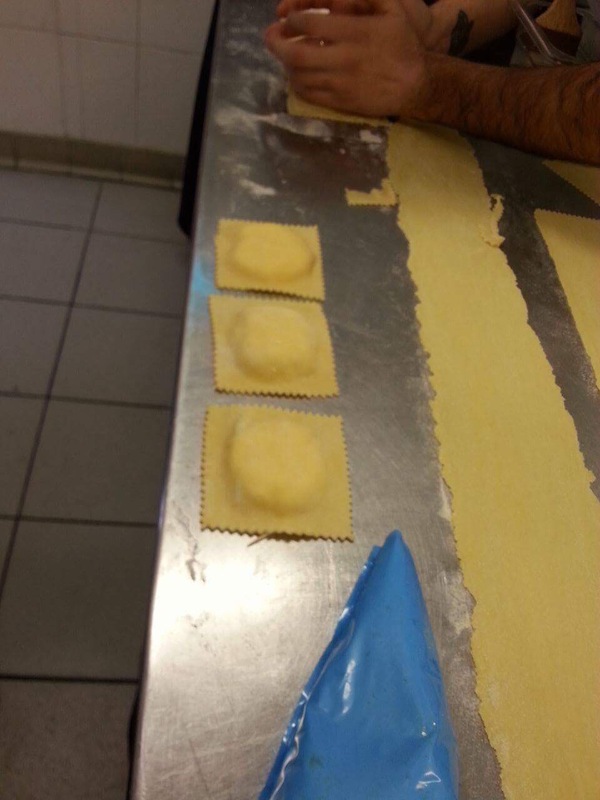 That’s the beauty of making homemade ravioli: you can choose the ingredients that you most love and experience lots of flavor combinations. Once you have learned how to prepare the dough you can fire your imagination. Incorporate the eggs to the flour and mix well for 10 minutes, then leave in the fridge for one hour ( the dough will loose the elasticity). Put it in to a sache a poche. For filling: Use just a bit of water to moisten the dough sheet between the filling heaps.Gently lay the top sheet of pasta over the filled bottom layer. Make a ricotta round disk into the wet layer, and cover with a dry pasta layer and stick toghether removing the air from the filling. Splash with same water to removing the excess umidity and then leave in the fridge covered with cling film until using. Brown the butter in a sauce pan, add the porcini mishroom and cook shortly until browned, add salt and leave on the side. 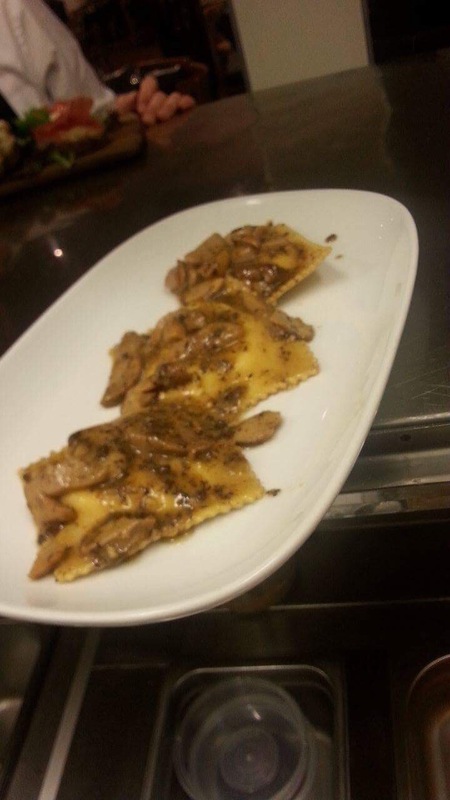 Cook the ravioli in a 2% salty water for four minutes, use a spider and drop gently the ravioli on the sauce pan with mushrooms, cooking together for one minute add the cooking water if necessary, moving the pan to create a nice creamy emolsion. Try if is tasty enough for you and serve. I had this traditional and simple dish in Sapori d abruzzo restaurant ( in Melbourne) 2 years ago and it was one of the most appreciated dish. If you like on top you can slice same fresh truffle and parsley to make one more intense and tasty dish. < Previous Introduce Cayenne Pepper into your food and welcome great health!